​Join Us to Honor Our Veterans! 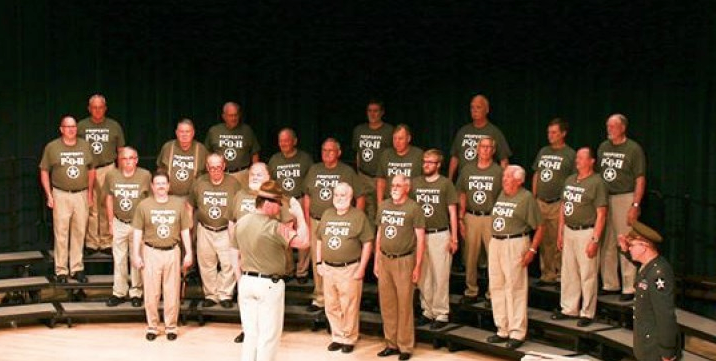 A brief history of Veterans Day will be presented by Sylvia Gobel, our Festival director, followed by a vocal tribute by the Pages of Harmony, a men’s four-part a cappella chorus. Their song tribute will include "This is the Army, Mr. Jones", "White Cliffs of Dover,” and "Goodbye Broadway, Hello France.” Stay to hear the rest of their program.